As a non-profit, DCP Inc. relies on community support, donations, fundraisers and corporate sponsorships. Here’s how you can help to maintain and improve an already amazing urban park. Looking for a simple way to support the park? Your gift, of any size, will help to sustain the park and all that it means to you, your family, and your community. Learn more. Is your company looking for a great way to engage the community? DCP hosts free, inclusive and family friendly programming throughout the year including 5 Food Truck Rodeos, PLAYlist, an 8 week summer concert series and our children’s independence day parade. These events draw thousands of people to the park and are made possible through corporate sponsors! Want to get in the trenches and get your hands dirty? 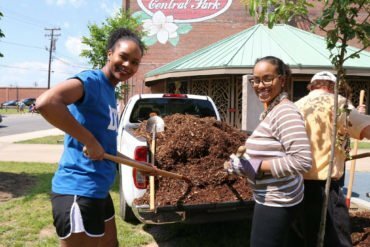 Durham Central Park would be nothing without its great volunteer corps! There are many volunteer opportunities throughout the year—from monthly park cleanups to helping out at our events. We would love for you to join us and we can even accommodate volunteer groups. 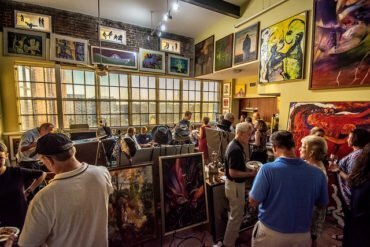 Love to entertain and bring people together for fun, food, and drink? Each fall, we hold a series of fundraising dinners and parties called Parties For The Park. Individuals, groups and businesses host dinner parties to benefit the park—raising 30% of DCP’s annual operating budget. We are always looking for folks who are interested in hosting. Not up for hosting? You can, of course, just attend them as well. 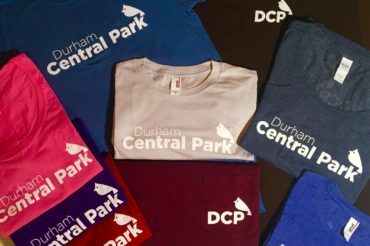 Durham Central Park t-shirts are available on Saturday mornings at the Durham Central Park booth during the Durham Farmers’ Market. If you can’t make it to the park on a Saturday, let us know and we’ll get you a shirt! Choose Durham Central Park as your supporting organization and every time you shop on AmazonSmile, 0.5% of the price of your purchases are donated to DCP. Have some other way to help in mind? Feel free to let us know!